Keep your head upright and place your hand flat against the side of your head. Gently push your head away from you and use your neck muscles to resist, so your head remains upright. Hold for 20-30 seconds each side and repeat 3 times. Lying face down, engage your core and raise your upper body from the floor. As you do so, lift your arms and squeeze your shoulder blades together, keeping your legs and buttocks relaxed and head looking down. Hold for 10 seconds and repeat 5-10 times. Loop a resistance band against something sturdy, engage your core and taking hold of the ends of the band, keep your elbows in tight to your body and pull your arms towards you, squeezing in between your shoulder blades as you do so. Repeat 12-16 times for 3 sets. Take hold of each end of a resistance band and hold out in front of your body. Engage your core and keeping your arms almost straight, move your arms back horizontally, stretching the band and squeezing your shoulder blades together. Repeat 24 times. 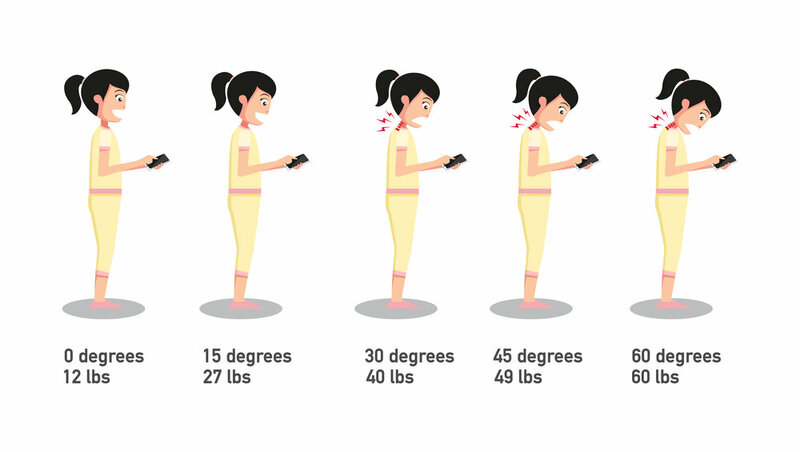 If you haven’t exercised before, you may feel muscle soreness around the shoulder blades and neck the first week or so. This is perfectly normal and your body’s response to getting stronger. If you’d like to learn more about how you can reduce pain and get stronger long-term, we’d like to invite you to a complimentary ‘Reduce Back Pain’ consultation. 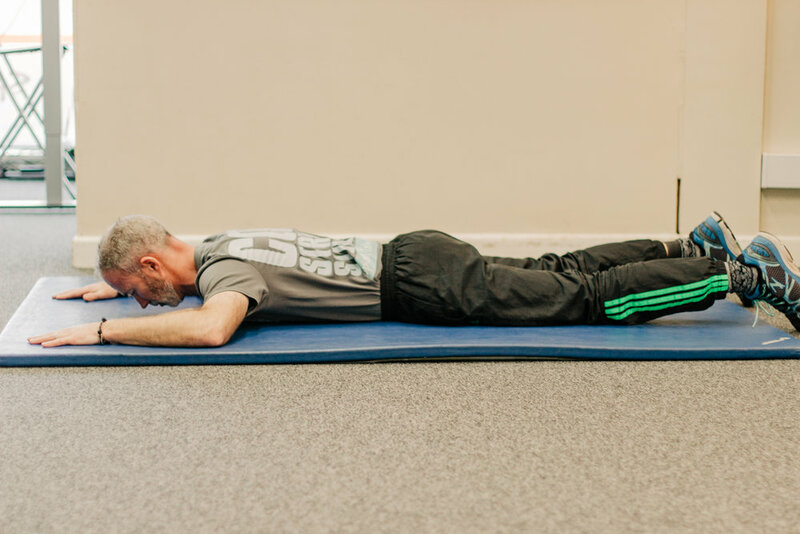 During the session, you will receive a full assessment, learn the relationship between your core and back, learn simple exercises to strengthen your core, receive an assessment of your flexibility and get advice on long-term pain management. To register, please enter your details below and we’ll be in touch to book your session. Thank you! We’ll be in touch within 24 hours to book your consultation.